Whisk the sugar, cocoa, water, and salt together in a medium saucepan. Bring to a boil over medium heat. 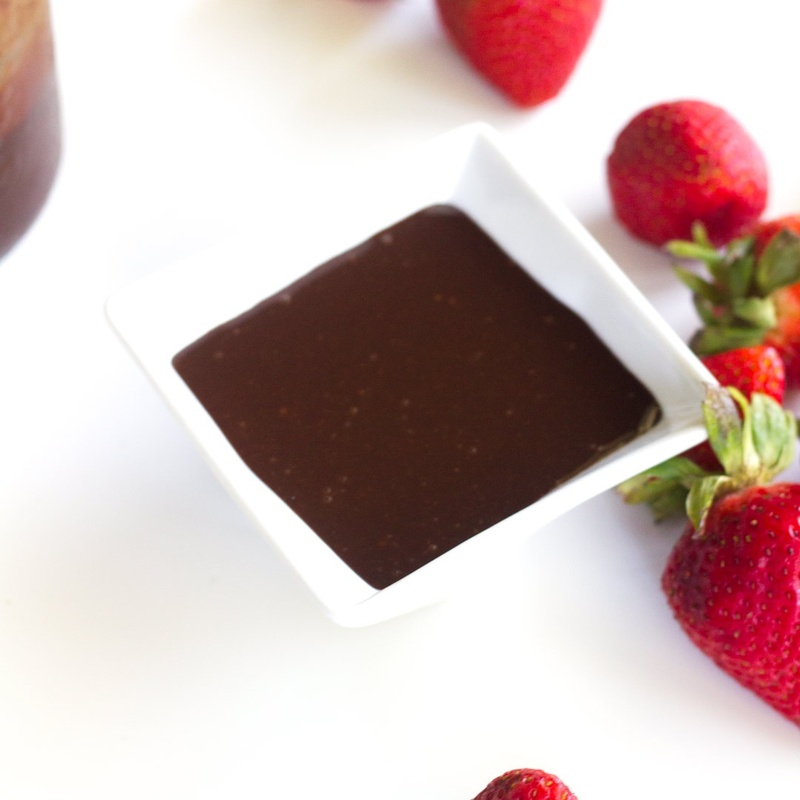 Remove from the heat, and whisk in the almond milk beverage, syrup, and half of the chocolate. Return the pan to the stove over medium heat and stir frequently until the chocolate becomes thick, sticky and reaches 225ºF on a candy thermometer, about 8 to 10 minutes. Remove from the heat and immediately stir in remaining chocolate and vanilla extract.